Muscovites are traditionally eager to head to villages and green zones outside of the city. 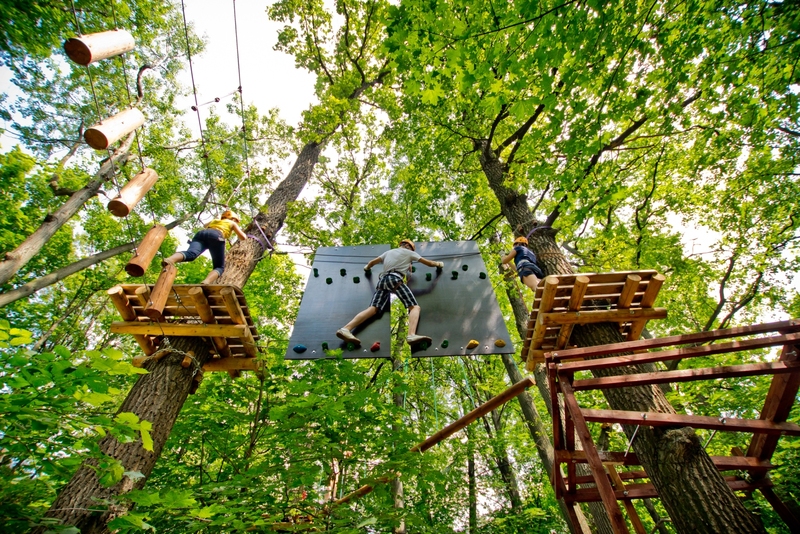 But it is fair to say that Moscow now offers adults and kids a host of new activities and real non-urban experiences. A new and increasingly popular sport called ‘freerope’ is aimed at energetic and brave participants, and was created in Russia! The main principle is not to touch the ground while participating in various races on trees or artificial posts, using ropes, boards and tires. Those who want to try freerope should do so under the guidance of professional trainers who are members of the established Freerope Federation. ‘Panda Park’ looks like a 100% kids’ venue, but it is actually common to hear about teenagers and adults meeting up with friends, or even celebrating their birthdays there. It is now the highest route park in Moscow. The safest route is for kids; adults can choose routes with 8, 10 or 11 obstacles on the way. Kids’ routes for beginners can be completed in just 15 minutes. With a birthday certificate, all the ‘Panda’ adventures are free of charge. Operating hours 11 a.m.- 9 p.m. Prices start at 250 rubles. 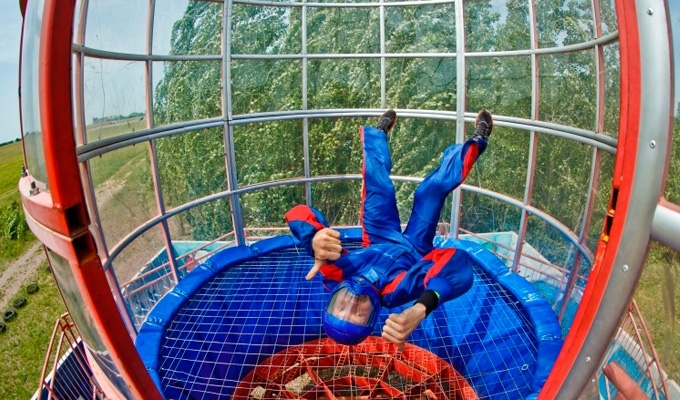 Zorbing in Moscow’s parks is another favorite among the fearless. From the outside it looks like an extreme activity in which people can have the experience of feeling like socks in a washing machine! 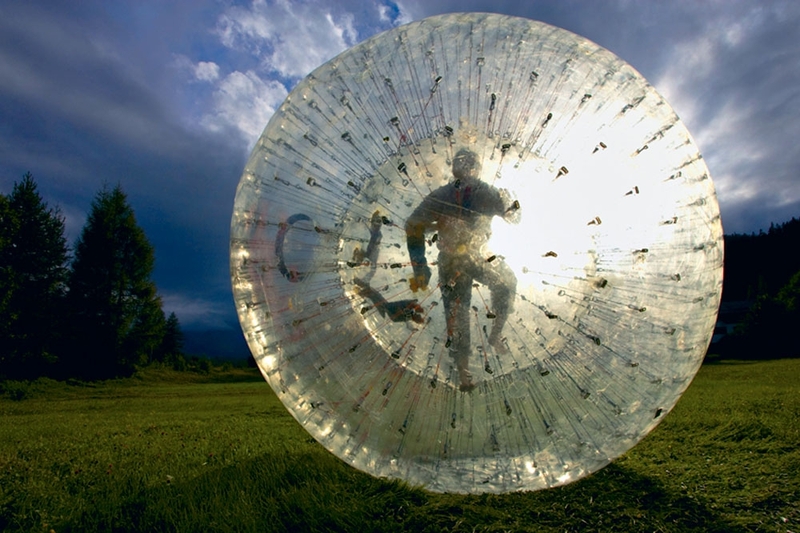 Zorbing involves rolling in a ball that spins around six or seven times on 80 meters of road, and attains maximum speed of 31 miles an hour. It attracts many onlookers. There are rules for participants: the participant’s weight may not exceed 91 kg, and the slopes start from 10 cm. For kids there are water-zorbing areas available in pools. 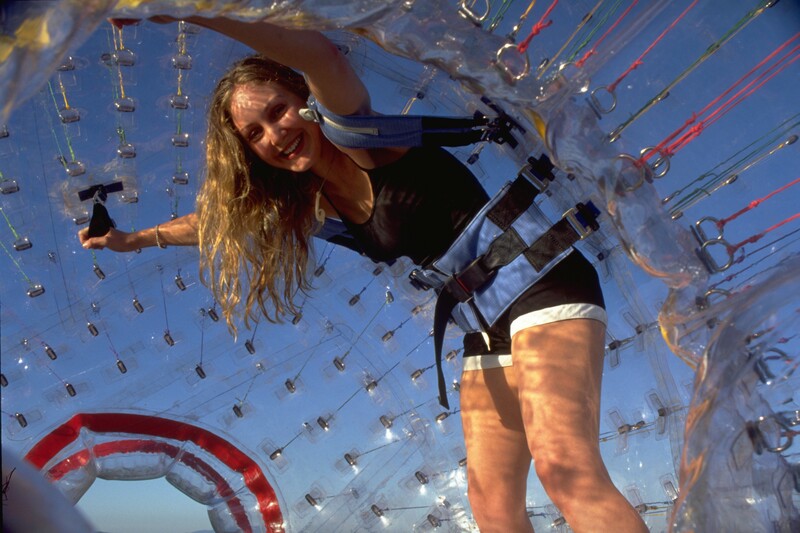 The zorbing route in Fili Park is open year-round. For those who don’t like running and jumping, flying may be a better fit. In an aero tube you move only to maintain your balance while flying. A human body is held in place by strong wind floods from below. No belts are required; you only need your ‘pilot’ gear. Next story Moscow’s Metro Starts Accepting Credit Cards! Previous story Free Museum Days in Moscow 2016-2017 !